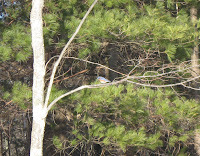 This Eastern Bluebird was 1 of 3 seen today while snowshoeing at the Assabet River National Wildlife Refuge. 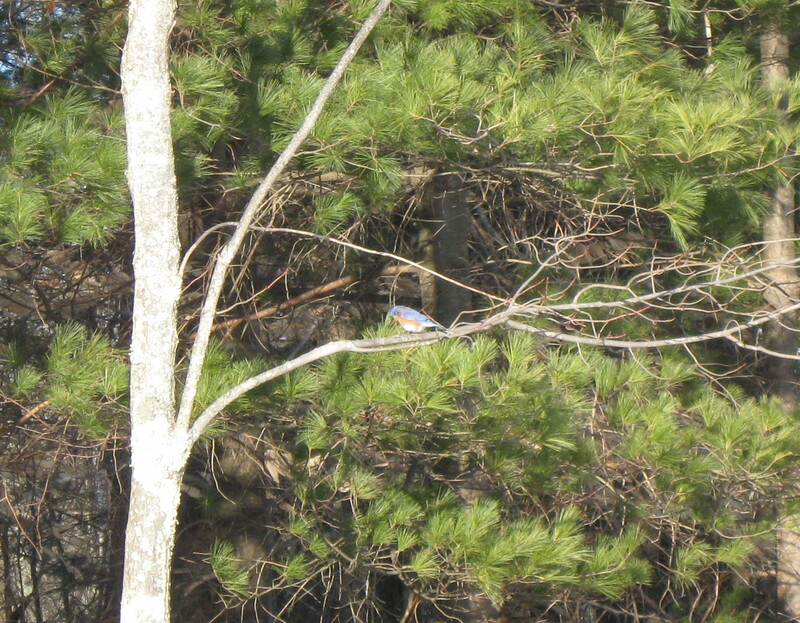 They were staying close to one of the few spots of bare ground alongside Puffer Pond. I suspect they were enjoying the late winter sunshine as much as I was.